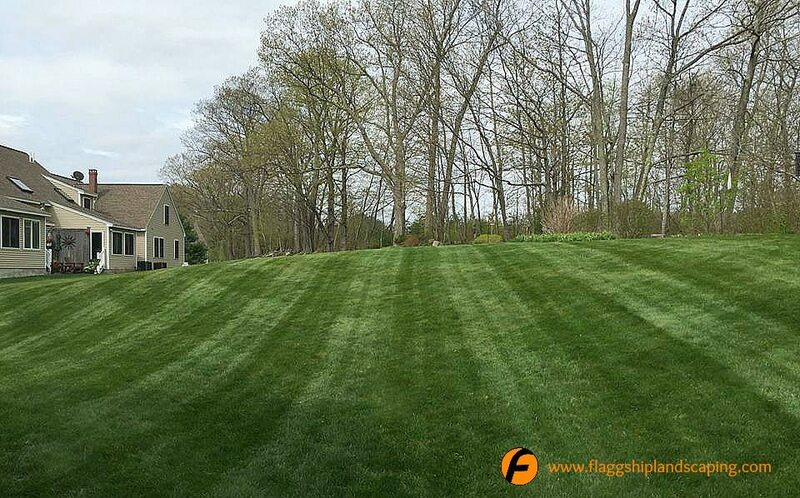 May Company Update - Flaggship Landscaping, Inc.
Are you enjoying the onset of Maine Summer as much as we are? We sure are excited to see the warmer temperatures, accompanied by much needed rain. May seemed cool, but my resources tell me that this May was actually .8 degrees above normal. Perhaps it felt cool because our average high temperature was the coolest it’s been since 2011… but that didn’t stop us from completing our Spring clean ups, mulching and lawn repairs. The hydroseeding we have done so far this spring is coming in very nicely. Mother Nature helped us out with a couple inches of rain, but it is still 1.97 inches below normal, so if you want those lawns to stay green – keep watering! 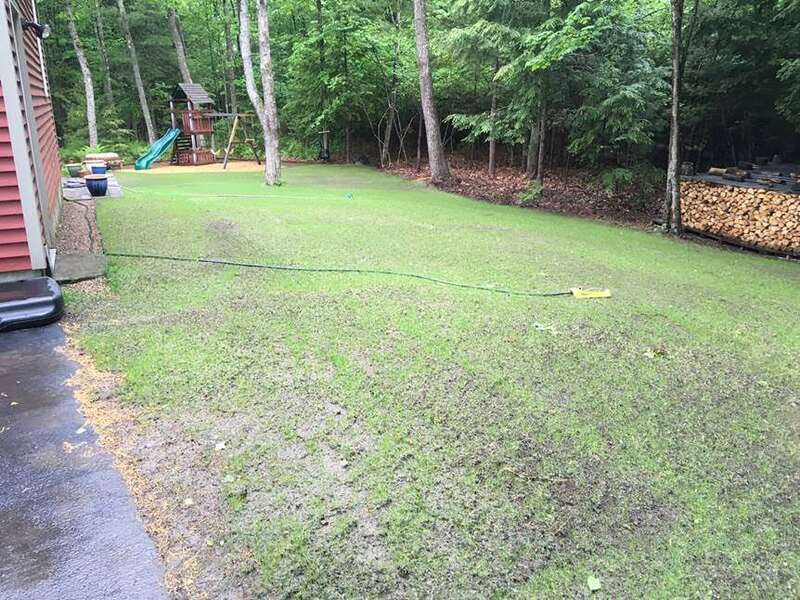 The turf simply isn’t getting enough water naturally to germinate, grow and green up – it will need all the help it can get. Finally, I can write a monthly summary and say that NO snow fell last month! In fact, we are quite pleased to say that we polished and put away all our winter equipment, and made room for our summer equipment. We have a long list of jobs coming up that we are scheduling soon. Rana, Noah and their crews are busy doing the first plant installations of the season. We are also still hydroseeding, and are gearing up for turf care. Mowing is already in full swing. If you have a summer project such as plant installation, drainage, lawn installation, or maintenance, be sure to call Melissa at our office so she can put you on our schedule. We are anticipating a busy summer, and we look forward to servicing your property. As always, we appreciate your business, and are here to answer any questions that you may have. Be sure to follow our Facebook page. 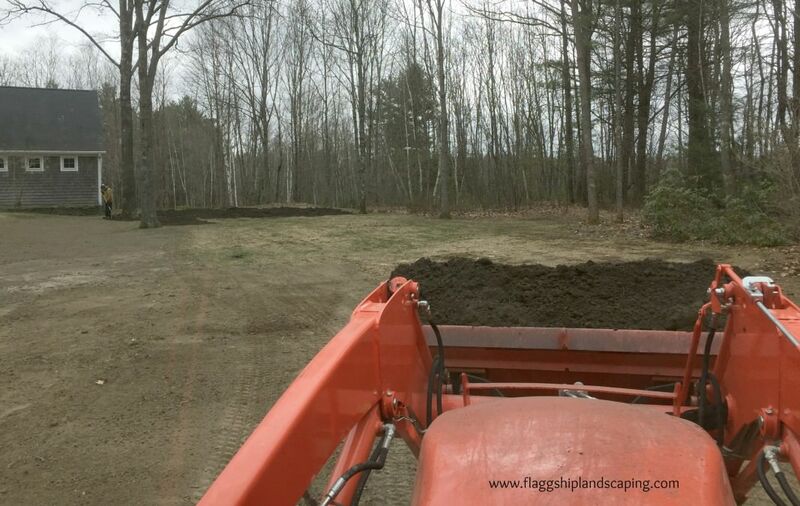 Our crews post pictures of current projects, as well as tips on maintenance, garden care and more.